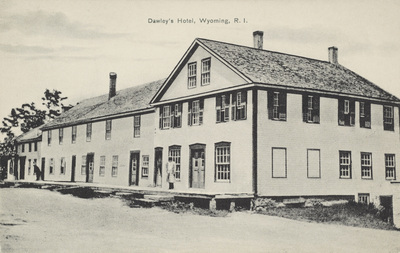 "Dawley's Hotel, Wyoming, R.I." by G. E. Greene, Hope Valley, R.I.
G. E. Greene, Hope Valley, R.I.
G. E. Greene, Hope Valley, R.I., "Dawley's Hotel, Wyoming, R.I." (1915). Rhode Island Postcards. 268.